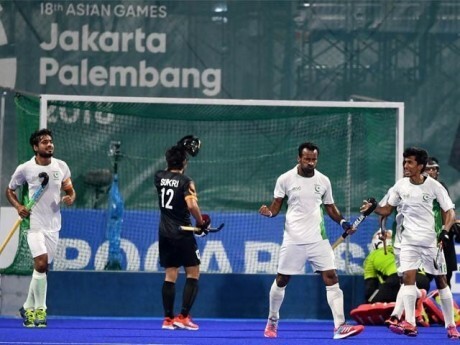 Jakarta/Lahore, Pakistani national hockey team remained unbeatable in the Asian games and the green shirts defeated Malaysia in the fourth match by the margin of 4-1. Aijaz Ahmed scored two goals while Mubashar Ali and Muhammad Irfan scored one goal each. The Malaysian player, Faiz Hailmi scored the single goal from his side. Now the green shirts will play the final match of the round against Bangladesh on 28 August 2018. According to the detail, Pakistani hockey team continued the best performance in the big event and it has played total 4 matches and it won all of the matches. 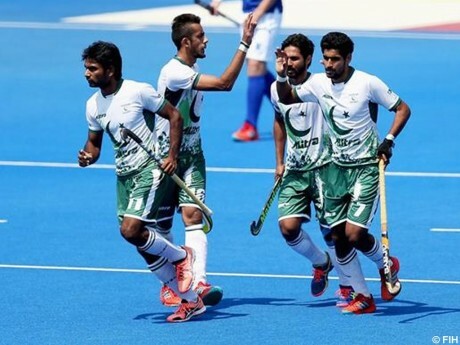 In the first two matches of the event, Pakistani hockey team won the matches against Thailand and Oman by 10-0 margin and it completed the hat-trick against Kazakhstan, when it won the match by 16-0 goals in the third match. 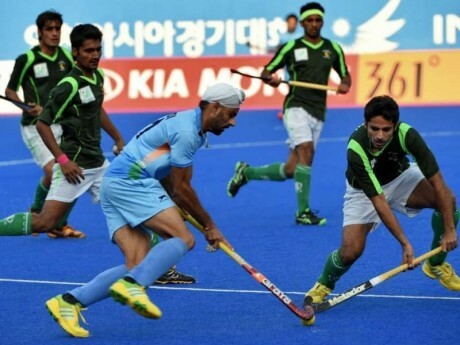 Pakistani hockey team won the fourth match against Malaysia by 4-1. When the match was started, Pakistani hockey team showed the best performance and it got the penalty corner in 6th minute and it scored the first goal. In the 11th minute, Faiz Hailmi scored the first goal from Malaysia and the match was equal. This was the first goal of any team against Pakistan in this event. In the second quarter, both teams worked hard to score a goal but they could not become successful. Pakistani hockey team scored two consecutive goals in the third quarter. Aijaz Ahmed scored his second goal in this match and fourth goal of the team in the last quarter. Pakistani hockey team brought Malaysian strong side under pressure and it won the match easily. Now Pakistan will play the last match of the group against Bangladesh on 28 August 2018.